Why are there so many screens to choose from? So many screens and so many part numbers! Which one do I need? 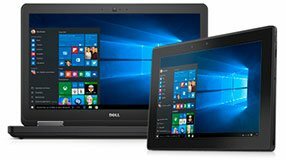 What screens are compatible with my laptop? Try to match your Dell part number. If we don't have the exact Dell part number of the screen from your laptop, then you will have to search for a compatible screen, which is identified buy matching your resolution(ex. WXGA, HD+) and other specs like touchscreen, to make sure you get the correct screen. All the below specifications require different Dell part numbers(D p/n: 0xxxxx) and/or manufacturer part numbers. We pride ourselves in supplying quality Dell genuine parts. That’s why we try not to sell 3rd party generic LCD screens that you may find elsewhere. Our screens are OEM Dell genuine screens with dell part numbers and are the best and most reliable solution to replace your LCD screen. New or Like New. This product guaranteed to be in perfect condition. An item that may have been pulled from a working system; with obvious signs of wear, but does not effect functionality. These products are discounted to sell. LCD screens targeted for "Grade C" sale may show signs of obvious wear (scuffs, scratches, bad pixels, or/and light or dark discolored areas), but will NOT contain any lines or blocks of unusable areas- warranty does not cover any problems described. Brand new products that may have been returned and have been verified to be in excellent working condition but may show a small amount of wear. Products targeted for "open box" sale must pass a thorough examination and testing. Why is it better to buy OEM over generic? OEM is built by the original manufacturer and the quality is usually higher then the product built by a third party. When you buy a generic product it will work pretty much the same as the OEM, but it doesn't offer you the time-tested confidence that is provided by a name brand. What is the difference between generic and OEM products? OEM is an acronym for 'Original Equipment Manufacture' and refers to the company that originally manufactured the product. Generic means it is a replacement item built by another company and NOT the original manufacturer. --A-Grade: "Like New" or New Quality. Our grading system is exceedingly thorough. If there is a slightest scratch or scuff we will down grade the part to a B-Grade. Implementing this highly intensive grading system ensures that you get the high quality part you have come to expect from us. --B-Grade: Slightly Used -- Working Pull. Shows some signs of minor wear (scuffs, scratches, or/and very light discolored areas)that are not very obvious;does not effect functionality. All of our electronic components go through a quality control inspection. Each component is first visually inspected for possible damage, followed by actual testing of the component to ensure you get a working part. All of our parts are guaranteed to work perfectly and are backed by a One (1) Year Limited Replacement Warranty. If the product fails within 365 days of the purchase date, then we will replace it at no charge to you. --B-Grade: Slightly Used -- Working Pull. Reconditioned. These keyboards may show some signs of previous use like shinny keys. --B-Grade: Appears new at first glance, but may have minor scuffs and scratches due to storage. Discounted 30% off. Will I be responsible for import taxes or duties? International customers please be aware that you are responsible for additional taxes or duties that may be charged on top of the purchase price at the time of delivery. How do I return a part that is NOT working for a replacement? Every part we sell is covered by a One (1) Year Limited Warranty. We test key component parts even if purchased from vendors who claim they have tested them. Even so there is occasion for a part to not work correctly. We also make the RMA process almost painless getting you a working part as fast as we can. 1) Upon receipt of your email/chat or phone call we will verify part compatibility and if needed, immediately process an RMA form using the same number as your original Order # or Invoice # (found in box). 2) This will ship same day when possible using the same type of shipping as was paid for with the original order. If you need to expedite shipping, we will need to charge the difference (otherwise we could end up paying out more for shipping than the part is worth). 3) We will also provide a return shipping label for returning the faulty part (ONLY ON ORDERS WITHIN THE US- International orders are not eligible for a return label) but only if the defective part being returned can be fixed or has greater value than cost for return. 4) Please package the return same as we sent it to you and include the RMA form that is sent out with the replacement part. How do I return a part that is NOT working for a refund? To return a part that is not working for a refund you need to complete the following steps. 1) Make sure that it is within 30 days of the purchase date. 2) You MUST contact us to issue your Return Merchandise Authorization (RMA) Number to return ANY PART or ORDER. Your RMA # is the same as your order id# or invoice number, so always refer to this number if calling or emailing. After receipt and testing of the item, we will refund 100% of what was spent on the part and shipping, if the part tests bad. If the part tests good, there is a 15% restocking fee and shipping will not be refunded. If you need further assistance, our phone number is 512-339-1990. What is the procedure for exchanging a part? To complete an exchange you would need to complete the following steps. You MUST contact us to issue your Return Merchandise Authorization (RMA) Number to return ANY PART or ORDER. 1) Place a new order via our website for the correct part or parts needed. 3) Make sure that it is within 30 days of the purchase date. After receipt of your return we will refund 100% of what was spent on the part (only if replacement part is of equal or greater value). No shipping will be refunded. For more information please refer to our complete return/exchange policy here. What is the difference between a CCFL screen and a LED screen? CCFL (Cold cathode fluorescent lamp) : The CCFL screen is the standard type for Laptops. Essentially there's a fluorescent tube in the display and a prism that diffuses the light. LED (Light-emitting diode): LED screens don't need an inverter(though a couple Dell laptop models use something called a converter) to operate and they last a lot longer than CCFL. LED screens tend to be slimmer and use a lot less energy than CCFL. LED screens normally use different LCD video cables than one's used for a CCFL screens. What is your product return or exchange policy? You can return products within 30 days of the purchase date. All working returns are subject to a 15% or $15 restocking fee; whichever is less. You must contact us to request a return merchandise authorization (RMA) number to return any part/order. Please notify us within 30 days of purchase date if you would like to return or exchange a product. The purchase date is the date on your invoice. We cannot accept return requests after 30 days of the purchase date. To return a product to Parts-People.com INC, contact us at 866-816-5254 to request a return merchandise authorization (RMA) number. You can also request your RMA via EMAIL or CHAT. When returning a product, please include the following information: Your RMA packing list sent with your RMA email, if you have reordered a different item because you ordered the wrong part, include that invoice number on the RMA packing list, and a description of the items or item(s) you would like to return and a brief reason for return. Failure to include all information above will delay refund processing. Unfortunately, we cannot refund any shipping costs. Upon our receipt of the parcel, you will receive a refund within 10 business days unless otherwise notified by e-mail. Your bank may require additional time to process the refund. We can only issue a credit to the original credit card used to purchase. If you ordered the wrong part and you want to exchange it for another part: YOU MUST STILL CONTACT US FOR YOUR RMA first. You the customer must order the correct/new product prior to sending back the item you are returning for exchange/refund, the item must be in good working condition (it will be tested upon receipt), exchanges will be subject to a 15% or $15 restocking fee, unless the part you ordered to exchange is equal or greater to the price of the returned item, the RMA to EXCHANGE packing list issued with your RMA number MUST BE IN THE BOX with invoice number of new item purchased. If the new item purchased invoices number is not written or included on the invoice, the 15% or $15 restocking fee automatically applies, no shipping will refunded. We have a product NO DOA guarantee for 1 Year or 365 days; if a product fails within 365 days of purchase we will replace it. We guarantee that any product that you purchase from Parts-People.com will be in perfect working order, (unless otherwise specified) We TEST all parts prior to them entering our inventory and we stand by all product that we sell. We want all customers to be 100% satisfied. I'm a reseller, how do I get the taxes removed from an order? If you are a reseller that isn't located in Texas then the website will automatically removed the taxes. If you are located in Texas then you will need to fill out and sign the resale certificate here. When filling out the resale certificate make sure to include you tax ID(it should be 11 digits), sign it, and fax it to us. Our fax number is (512) 339-1996. You will also need to setup an account on the website and include the user name with the fax. After we receive the form and make sure it's correct, we will adjust your account and make it non-taxable.From this point on you will need to see the prices without tax. Which LCD inverter will work for my laptop? Unfortunately you will have to remove the inverter from the laptop to get the part number. For many of the laptop screens, I've have seen up to 12 different inverters and inverter part numbers. The only way to make sure you get the correct inverter is to match the part number...or match it to the picture on our website. When placing the order you will have to enter the billing address and the shipping address on our website. The address you enter there will be the address we use for shipping. Your PayPal address doesn't have to match the shipping address on our website. I accidentally entered the wrong shipping address. How do I change it? Changing an address before the order ships can be done free of charge, simply give us a call and we will adjust the address. If the package has already shipped, you will still need to call us and we will contact the shipper. If the the package shipped via FedEx or UPS they will charge a minimum redirect fee of $10 that we would have to re-bill you for. If the package was shipped via USPS, unfortunately USPS doesn't offer a "redirect" service and unfortunately we would have to wait until the returned back to us before we can reship it. If a package cannot be retrieved due to an incorrect address, the order will have to be placed again and reshipped with the correct address. I can't find a part number on your website. Do you have it? On our website we list parts mostly by the Dell part number. If you can't find a part number on our website you should first try by the description (m1330 motherboard). If that doesn't work or multiple part numbers come up you should use our advanced search field, here. In the advanced search field, put your part number in the "search for multiple part numbers" field and check the "show out of stock items" box. this will allow you to see the part number even if they are out of stock. You use this method for description searches also but it will bring up any parts that are associated with the word. If the part you are looking for is out of stock, you can still click on it for the description and there you can add your name to an email notification list. Don't worry we will not and have never sold our customers email addresses, so you will not be spammed by doing this. How can I change the shipping method or speed for an order I just placed? Unfortunately, after an order is placed the shipping method and speed cannot be changed. If you would like to change the shipping method or speed of the order you will have to contact a Parts-people representative so the order can be canceled via email at changes@parts-people.com, info@parts-people.com. You will then have to replace the order with the correct shipping method. How can I add a part to and order I just placed? Unfortunately, after an order is placed items cannot be added. If you would like to add something to the order you will have to contact a Parts-people representative via email at changes@parts-people.com, info@parts-people.com, so the order can be canceled. You will then have to replace the order with the correct parts you wanted to add. What is the procedure for returning a part that wasn't needed? 1)	Make sure that it is within 30 days of the purchase date. 2)	Include a copy of the RMA Packing list issued with your RMA email in the box and write a note part not needed. After receipt of your return we will refund 85% (15% restocking fee or $15, whichever is less) of what was spent on the part. No shipping will be refunded. Please allow 7-10 business days for you return to be processed. For more information please refer to our complete return policy here. How do I Calculate Shipping Prices? We have real time shipping rates based on the weight of the product(s) you are purchasing and the address they are being shipped to. Step 1. Add the product(s) you wish to purchase to your shopping cart. Step 2. Next click the calculate shipping button and enter your shipping zip code. Checkout will also display all the shipping carriers, speeds, and prices. If you have just received your email with tracking info. It may take up to 10 hours for tracking information to become available in the carrier's system (FEDEX, UPS, USPS). FedEx and UPS usually have updated tracking information by the end of the day but, USPS will usually take 24 hours before the first update. After USPS gets updated, many times the package might not get scanned at one of the hubs. If this happens the tracking might fail to continue working from that point on. USPS First Class Mail doesn't have a tracking number and cannot be tracked. What if there is a problem with the item I've purchased? Contact us immediately. We will do all we can to help you get your part working - even if we have to ship a replacement. We want you to be 100% satisfied with your purchase. When you click on the part and view the details, the quantity in stock will be listed there. You can buy as many as are available. We use a real time inventory system. This means that all quantities listed on our web site are 100% correct and up to date. New items are added daily. If you are wondering when we might receive an out of stock contact us and we can add you to our automatic notification system. Are the parts you sell new, used, or refurbished? We sell all of the above. Parts-People.com maintains a strict quality control system. Our parts are inspected up to five times before shipment. All of the parts that we sell include a no-hassle 1 Year or 365 day replacement warranty. We guarantee that we only sell the best top quality parts. Our company sell new, used, and refurbished parts. If a part is new or refurbished it will be stated in the listing. All other listings will be for used parts. Used parts are sometimes broken into Grades ('A', 'B', 'C') and the description of grade explained within that product listing details. If the listing does not describe or explain the condition of the part, this mean the part is A grade like new condition. Web site shopping system overview? 1. We accept Credit Cards directly through Parts-People.com using a 256bit encryption (Visa, Mastercard, American Express, and Discover Card). Why am I receiving an error using my credit card? There are two main errors that occur. 1. AVS Mismatch error - AVS stands for "Address Verification System", this means that your billing address given at checkout does not match the billing address that is on file with your bank or credit card company. You need to edit your profile and change your billing address info. If you believe that your billing info is correct than you need to contact your bank and ensure that their records are correct. 2. Transaction Decline - Once again you will have to contact your bank to rectify this error. All orders ship the same day we receive payment - Monday thru Friday. We must receive your payment before 2 p.m. CST (Central Standard Time) to guarantee this will happen! Order placed after 2 will ship the following business day. Because all ordering is done directly through our online store, you will need to browse to find the product(s) that you want and add them to your on-line shipping cart. Then click on the checkout link. You can then fill out your address information and choose your shipping and payment methods to complete the order. If you are having problems ordering, please do not hesitate to contact us. Can I view my order status and past orders on-line? Yes you can do this at anytime. Simply click the "View Account" button located on the top of each page and login using your a username and password if you supplied one. Otherwise you can receive your login information via email here. Yes. Your account and checkout process is encrypted using 256bit encryption. You should see a lock shown on your browser somewhere at the bottom of your screen. This means that the order is secure. In addition, we do not keep any credit card info on file. How do I take advantage of FREE Economy Shipping? 1. Place at least $50 of eligible Parts-People.com products in your Shopping Cart. 4. Select Free Economy Shipping as your shipping speed. 5. Place your order, and enjoy the free shipping! If you qualify for FREE Economy Shipping but your order also contains one or more ineligible items, you'll be charged shipping fees for those ineligible items. Canceling items, combining orders, or changing your shipping address, speed, or preference might affect your order's eligibility for Free Economy Shipping. Applies only to orders with at least $50 or more, excluding coupons and taxes, at the Parts-People.com Web site. Applies to U.S. delivery addresses in the continental 48 states only; does not include Alaska and Hawaii. May be used in conjunction with a coupon code. The qualifying amount is the total amount of the products purchased before the coupon code is applied. You will not receive FREE Economy Shipping on your order if any items are canceled, bringing the total below $50. Cannot be used for shipping complete laptop because they required large amounts of shipping insurance and signature authorization. We reserve the right to change or discontinue FREE Economy Shipping at any time. When your order is shipped, you will receive a tracking number via email that you can use to tracking your package. You may also login to your account and view order history to find the tracking information for your order. Shipping prices are calculated at checkout or click the calculate shipping button on each item/product page. How do I track shipping on my order? Upon the shipment of your order you will receive an email with a tracking number. If you want to take advantage of our FREE Economy Shipping you must place at least $50 of eligible Parts-People.com products in your Shopping Cart. Ship your items to a single U.S. address in the lower 48 states. Select Free FedEx Standard Shipping as your shipping speed at checkout. You will be eligible to take advantage of our flat $5.00 Economy Shipping when you place an order that is less than $50 and you are shipping to a single U.S. address in the lower 48 states. Some products are eligible for flat $2.99 first class shipping, and they are marked appropriately. Eligible products are items that weight less than 8 ounces and can ship in a 2 x 2 x 6 small box and total package weight cannot exceed 16 ounces. The shipping speeds vary for these items. They still ship the same day, however transit / delivery times may take up to 10 business days or 2 weeks. Most are delivered within 5 business days. How much we charge for shipping? The shipping prices are pulled directly from the carrier's web site, based on the weight of the product(s) and your shipping address. We do not add anything to the shipping prices. We have real time shipping rates based on the weight of the product(s) you are purchasing and the address they are being shipped to. Once you have the product(s) you wish to purchase in your shopping cart, press calculate shipping and enter your zip code and click "Calculate". -To purchase, close calculate window, and click checkout.